When is the right time to scale my accounting practice? What are some of the items I need to think about to scale my business effectively? Taking the time to research all of these topics prior to growing your business and taking on new clients, while still providing the excellent services you already provide to existing clients, will help make your transition smoother. Do you need full-time, part-time, or as-needed help? Will you want this individual to be physically present (work at your office), or work remotely? These decisions not only impact the type of individual you could hire, but will require additional tax and paperwork filings. For all employees, you will have to pay payroll taxes, file quarterly payroll tax forms, and file W-2s. All of these requirements can either be done in house or through a payroll service company to ensure all withholdings and tax payments are completed correctly. 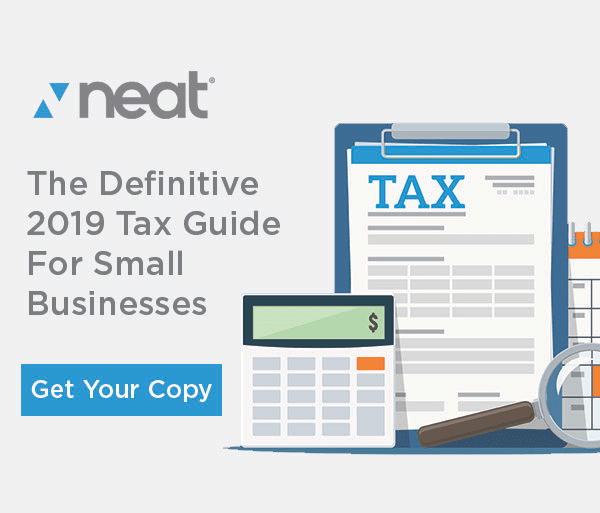 For all contractors that make at least $600, your business will have to file a form 1099-Misc with the IRS and provide a copy to the contractor. As you hire on new employees to assist you with the business operations, it is important that you (the business owner) always have an accurate view of all projects and assignments you are completing for your client. There are some basic steps that you can follow to help ensure that all projects run smoothly and final products are delivered to clients on time. Receive Client Project – In this stage, the owner should be the one to find and negotiate all terms of a new client engagement. Assign Project – The owner should then assign the new project to themselves or to their staff. If the project is assigned to a staff member, the owner should make sure that the staff knows the priority for this task as compared to other tasks they have been assigned. Review – Once the task has been completed, the owner should review the work done by the staff member. Depending on the task, this could mean reconciling accounts (or viewing the reconciliation) for bookkeeping clients. The creation of work papers may be necessary so that you have a fast way to review work. Send Final Product to Client – The owner should be communicating with clients until they are comfortable with the professionalism and competency of their staff. Communication is a two way street and it is important for everyone to be on the same page to ensure the highest quality of services. The owner will need to be clear with procedures and deadlines, and the staff will need to communicate any complications, client requests, questions, and project updates. Having an environment where staff can come to supervisors (or the owner, depending on the business size) for help – without feeling like they are being judged for asking for help – will improve retention and the quality of work performed. As the owner, there is a high chance that you will not participate in the work for every client when you are scaling the business up. There will be times where your staff will be doing the entire project, so it is imperative that you have some sort of quality control procedures in place. At the end of the day, the client will associate anything that you give them with you, regardless of whether someone else did all of the work. Quality control starts with creating an effective training program and hiring individuals who have the professional qualifications needed to complete the tasks you assign them. Creating checklists and internal-use work papers to improve the review stage process can also be a measure of quality control to help catch any potential mistakes before products are sent to the client. T-sheets – Tracks time for employees and contractor. QuickBooks for accounting and bookkeeping professionals. Neat Software for client expense capture, tracking and submission. ADP – Payroll service company that can process your companies payroll. Asana – Project management tool that allows you to control the assigning process for projects. The employee can also attach documents related to the project, type project specified questions, and you can track when they have started the project, when they are ready for review, and mark complete when sent to client. Microsoft Excel – This is a great tool for creating checklists and work paper for quality control. There are endless software options that can help you deal with everything you need to consider when scaling a business. Doing the research to find out which software works best for you is crucial in saving you time and stress while growing your business. Neat provides software that streamlines the capture and management of key financial documents such as receipts and invoices and is used by both accountants and their clients. 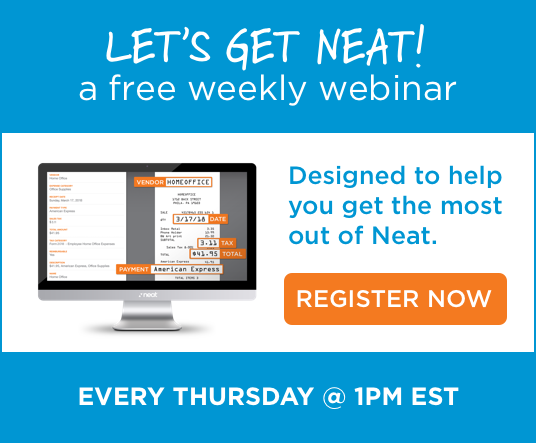 Neat serves over 100,000 small businesses and 10,000+ accounting and bookkeeping firms. Learn about our partner program, the Neat-Freak program and see how we can help accelerate your firm’s growth.